Property Connect Alliance (PCA) on September 18 launched its proprietary, PCA SuperConnect Apps, a proptech tool. PCA is Singapore’s foremost real estate group, affiliated with OrangeTee, among the top 3 Property Groups in Singapore. PCA came about when twelve liked minded senior leaders in Orangetee & Tie decided to pool all their resources together for the benefit of their associates by coming together as one big family of 900 strong associates. Putting aside any differences in group size or team production. 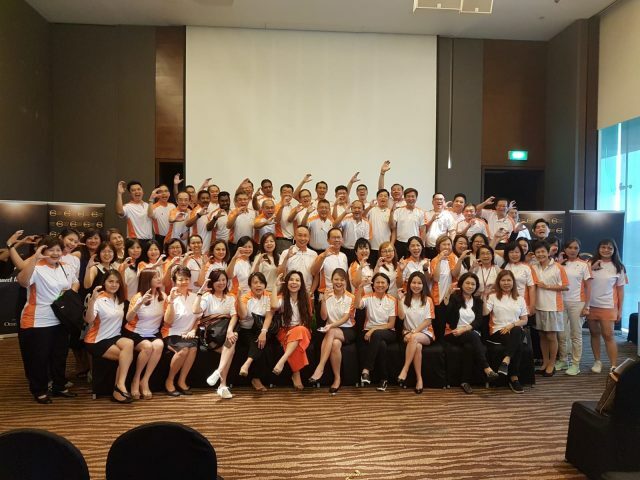 PCA embarked on a bold direction to inspire the next level of leaders and connect every of its associate to succeed in the ever changing property agency business landscape. Such an initiative is a first in the industry. Twelve leaders were able to come together as a family to conduct sales activities, training, bonding events and other activities as one big group with one identity. This is a phenomenal achievement. Seven more senior leaders who have seen the success of PCA joined the alliance at the launch of their proptech tool. The proptech tool arms the agents with resources that makes everyday real estate tasks easier. With the proptech tool they can focus on the deal and the rest to the PCA App. Mr Paul Ho, the chief mortgage consultant at icompareloan.com said that proptech tools are already disrupting traditional business operating models in real estate here. In welcoming the launch of PCA SuperConnect Apps, he said the proptech tool is already revolutionising the industry, and that property agents “must upgrade or die”. Proptech will have an impact on traditional business operating models. Whether this impact turns out to be positive or negative depends largely on how real estate players will use them to their advantage. These technologies are however still a long way away from replacing human judgment, touch, and ability to react to dynamic changes, which are all critical to the decision-making process. PCA’s launch of its proptech tool comes on the heels of JLL and Lendlease’s (two of the world’s leading international real estate companies) announcement on Sep 4, that five proptech start-ups that have been selected for the first Singapore-based regional proptech accelerator. 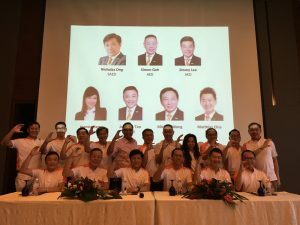 JLL said its programme to identify the proptech start-ups with potential, received many applications from start-ups across Asia, and the eventual five selected were early stage companies chosen based on the commercial viability and scalability of their idea, as well as each team’s strength and technical competency. The chosen start-ups offer a good mix of solutions for office and leasing, construction productivity, facilities management and Internet of things (IoT) platforms. Colliers International Singapore, another prominent global real estate company, on Sep 11 announced that ten startups from around the world are convened in Toronto, Canada for this first global proptech accelerator. Are you planning to invest in properties but ensure of funds availability for purchase? Don’t worry because iCompareLoan mortgage brokers can set you up on a path that can get you a home loan in a quick and seamless manner. We are the experts who do the work for you for free, while you lean back, rest and rely on our professionalism at absolutely no cost to you. Being market leaders, our brokers have close links with the best lenders in town and can help you compare Singapore home loans and settle for a package that best suits your home purchase needs. Find out money saving tips here. Whether you are looking for a new home loan or to refinance, our mortgage brokers can help you get everything right from calculating mortgage repayment, comparing interest rates all through to securing the best home loans in Singapore. And the good thing is that all our services are free of charge. So it’s all worth it to secure a loan through us.